$199 each 2hrs | $69 each additional hour - Includes attendant! 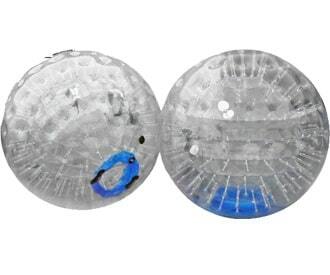 Our Zorb balls are the perfect party idea for school carnivals, church festivals and corporate picnics in San Diego! Capacity: 1 participant, up to 200lbs per ball. Minimum space: 30L x 30W x 10H. Supervising Adult: 1 per ball - Company attendant(s) included in price. Surface: Live or Synthetic grass, Carpet, or Wood floors. For pavment/concrete or unkempt grass, a Track is required.